I'm behind on my list of projects, so I decided some of my house painting projects could suffice. 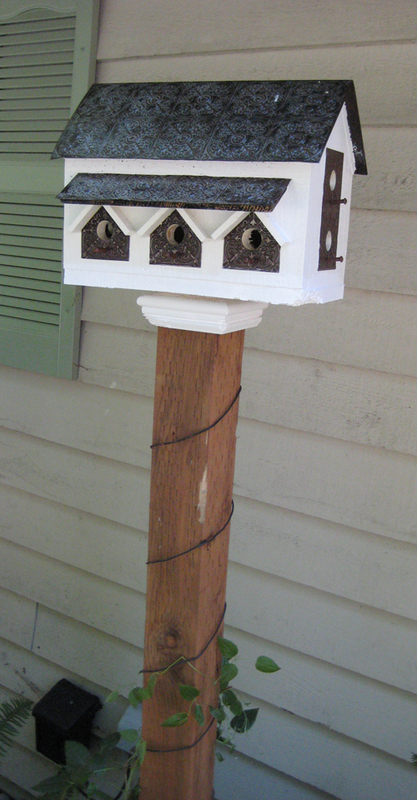 I painted this birdhouse about a month ago and cut a stand for it for my front yard. Just the other day I noticed that a squirrel (or a rat...gulp!) had chewed the bottom of the house and even the corner of the post itself. Ahem, that is treated wood, you rodent! That can't be healthy.